Mercedes-Benz has unveiled the latest generation of the B-Class hatchback at the 2018 Paris Motor Show. 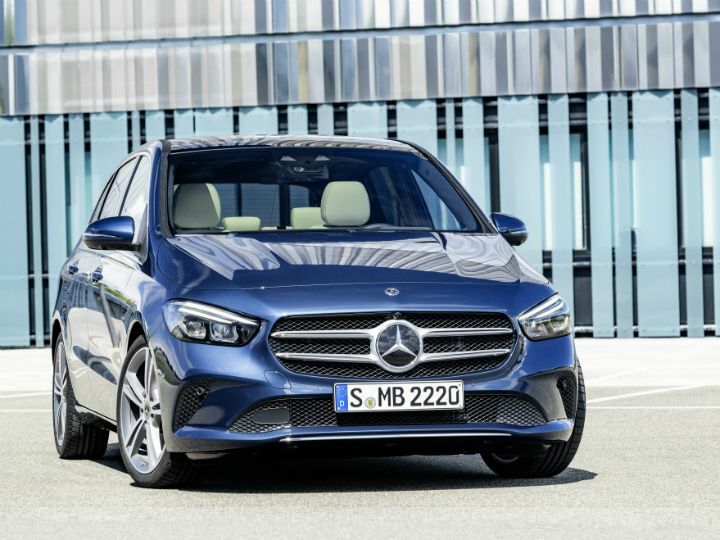 The new hatchback is part of Mercedes’ ever expanding lineup of compact cars, which include the A-Class sedan and the mighty A 35 4MATIC+. 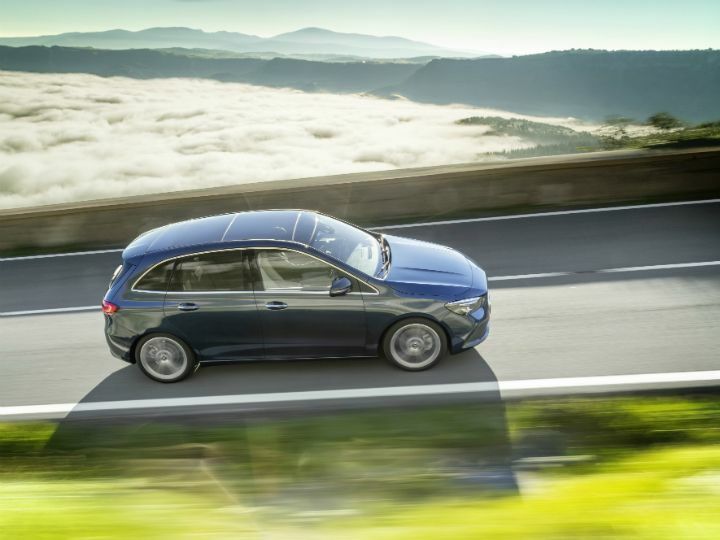 The Sports Tourer, as the company likes to call it, promises to be more dynamic on the road, while being plusher on the inside. 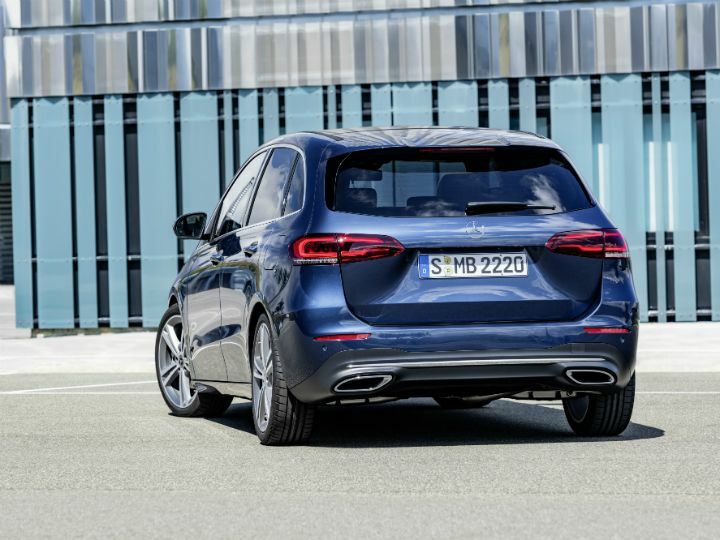 Like its predecessor, the new B-Class sports a more conventional hatchback silhouette when compared to the A-Class. 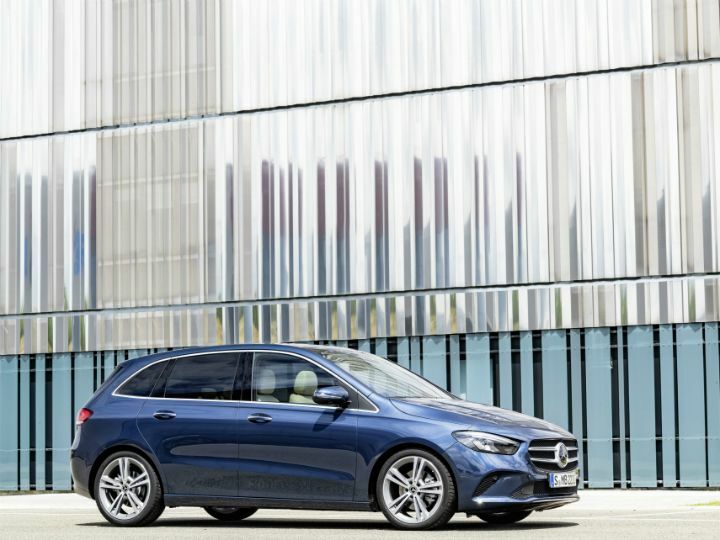 Mercedes says the designers were briefed to make the new B-Class look less like a minivan and they seem to have done their part. The new hatchback gets a long wheelbase, short overhangs, slightly lowered roof line and larger wheels ranging from 16- to 19-inch. The front end looks more upright than before, while the grille gets a traditional three-pointed star, chrome slats and star-like studs. The slim headlamps feature new signature LED DRLs and Multibeam LED headlamps on select variants. Move towards the rear, and you notice the split tail lamps, which accentuate the width of the hatchback, and the black section on the bottom half of the bumper, which helps make the car look less bulky. There’s even a large roof-mounted spoiler and thin high-gloss black spoilers at the side of the rear window to reduce drag and improve aerodynamics. Mercs engineers say the overall shape of the new car has helped reduce wind noise to a large extent, allowing passengers to have a more relaxed time in the cabin. But what’s more impressive than the exterior of the B-Class is its cabin. 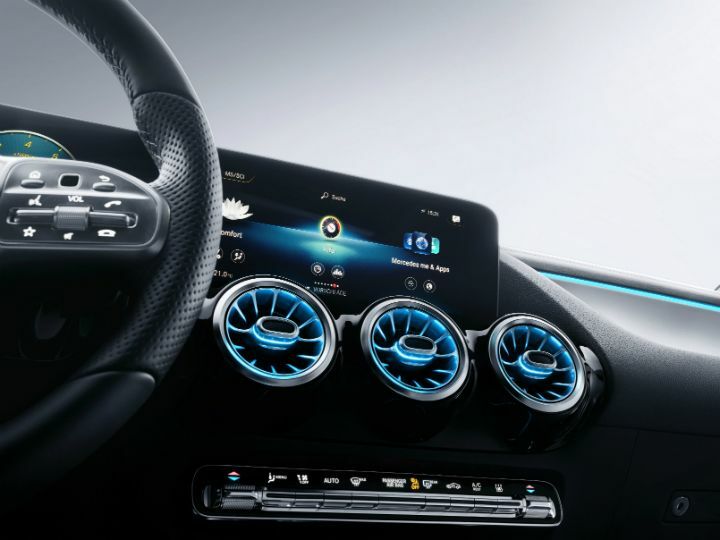 The avant-garde interior features Merc’s latest MBUX system with twin screen – one for the instrument console and the other for infotainment. The system is controlled by a touchscreen, an optional touchpad on the centre console or through touchpads on the steering wheel. The dual screens vary in size from 7-inch to 10.25 inch depending on the variant. Other highlights include the five round air vents which look like turbines made out of high-grade metal. The vents even feature blue accents to give it the effect of an afterburner. How cool is that! If that doesn’t cut it, the B-Class also packs ambient lighting with 64 colours. What caught our attention at the unveiling ceremony, however, were the seats on the new B-Class. Apart from offering more space than its predecessor, Merc says the new B-Class can be had with multicontour seats with massage function and seat climate control. These are features that the company usually reserves for its more expensive models. Merc says the new seats are capable of making minor adjustments to the seat cushion and backrest every minute to avoid fatigue. And for safety, Merc has loaded it to the gills with active safety features from the S-Class! In fact, the B-Class can be driven semi-autonomously under certain conditions since it’s got improved cameras and radar systems to scan the rod while using navigation data for assistance. It also gets Active Brake Assist, which can help avoid bumping into a slower moving or stationary car and even crossing pedestrians and cyclists. As expected, there’s plenty of airbags are on offer too. 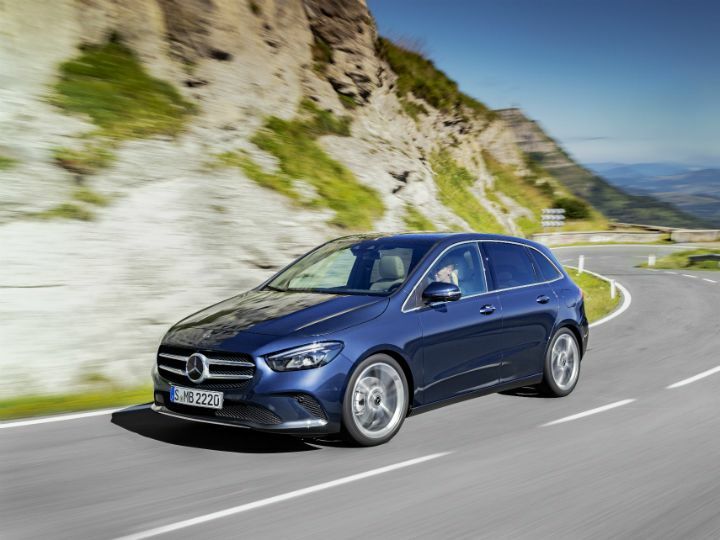 Set to go on sale in Europe from December 3, the new B-Class will get a new 2.0-litre Euro 6d-compliant diesel engine and a new 8-speed dual-clutch automatic. The diesel engine is the same we’ve seen on the E-Class LWB and the recently-launched C-Class facelift – 2.0-litre OM 654 engine, albeit mounted transversely. This motor wil be offered in two states of tune – 140PS/320Nm and 190PS/400Nm, depending on the variant. Other options include the 1.5-litre OM 608 engine from the A-Class hatchback. The petrol version will be powered by a 1.33-litre 4-cylinder M 282 engine mated to Merc’s 7G-DCT gearbox. It will be available in two states of tune. However, the latter two engine options are unlikely to come to India anytime soon. Speaking of which, we expect Mercedes Benz India to launch the new B-Class sometime later next year. But rest assured, we’re sure it’ll happen only after the launch of the new A-Class hatchback, or even the A-Class sedan. What do you think of the new B-Class? Does it continue to look like a minivan or does it finally look like a hatchback you wouldn’t mind having in your garage? Let us know in the comments below.